Vineyards need a special care all year long. Around February branches are pruned from stumps. However the ground needs to be previously plowed and perfectly set up. On spring, when stump grapes are not seasoned yet, some products are applied to prevent any infestation. For the same purpose this procedure is again done during August. In October the grape has ripened and the time of harvesting has arrived. It is now time to collect the grapes and dividing them into different storages according to the fruit variety. Wicker baskets are used for harvesting and bunches are collected with a sickle named ‘garillo’. After that, the grape is then taken to the wine press and is poured on the stripping cask, a device that removes the stalk from the grape. With this procedure the subsequent wine is prevented to have a bitter flavor coming from the stalk. After this process is completed, the grape juice will start the fermentation on the wine press. 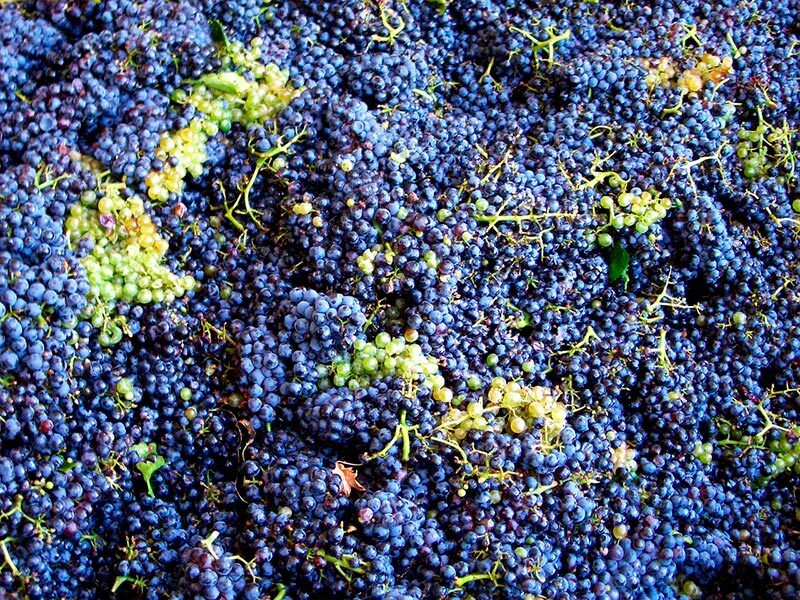 When the grape juice has rested for an appreciable period of time, it is then taken to the press with the purpose of extracting the largest amount of grape juice. Once crushed, the wine is taken to the winery and stored in barrels. It will remain there until February or March, the months that the wine will be ready for consumption. In addition to this comes the process of isolating the clean wine from dregs on the bottom of barrels produced by the fermentation. Thanks to this procedure we get a clean, clear wine and without any bad aromas. When the wine is ready it is time for storing it on glass bottles at consumer’s disposal. Final target is enjoying the wine’s taste with a flavorful meal!